Actually the answer for all "glass" is incredibly easy to do. Bought some overhead projector "Transparencies" for an inkjet printer. Problem is do you really want to waste a whole sheet to do one small canopy? 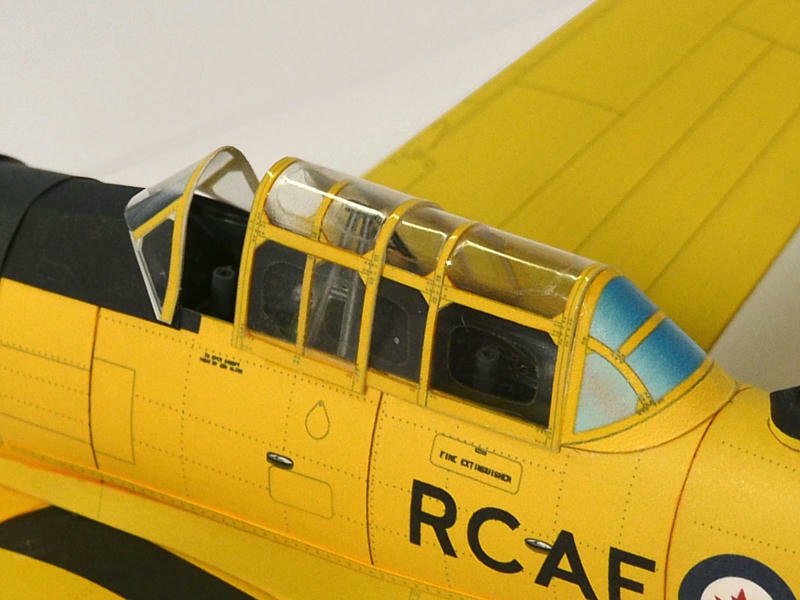 It would be best to get several models; cut and paste the canopies or car windshields onto a single sheet to do as many as possible at one printing. Maybe the designers who sell printed kits could do whole sheets and then cut out the individual ones to include in each model. Anyway here are some photos of what I'm talking about, you can see the actual transparencies on top of the folder that they ship in. I bought these at a local office supply store-can't remember but think it was office depot or wal mart. They work great, colors look good, but the actual color will be different than the same color printed on paper. Dave, your A-10 rendering is genius! Looks great, the jeeps look just as good. Looks like you've spent lots of time experimenting to get a workable solution! Yes I tried those too. Never found any that were really thin enough to bend properly. Also the frames just didn't print the same as the paper. With bubble canopies there is also the problem of the seams. You can bend the transparencies by adding heat (shhhhhh….. I used the wife's blow dryer). You aren't going to get any complex shapes though. Another thing, you can wash off the stuff the ink sticks to with plain water and then it is crystal clear. My only problem is figuring out how to glue it to the model or frames to it. Greetings. In the next few days I will begin the J-29 of Gerard Methorst. Look at the canopy design. Interesting. Has anyone tried the Fiddlers Green packing tape approach? But it would yellow over time? And you can't glue anything to the glossy tape surfaces easily. The Tape was a bit too glossy for my liking. It is however thin enough to be a lot more flexible, which comes in handy when you have to bend and curve the canopy parts. I have laminating plastic...on a roll, and sheets(pouches). Its a heavier clear plastic with a full adhesive backing. The roll stuff is a bit thinner than the sheets(pouches). Its like heavyweight packing tape in wide sheets and rolls! and smooth out all the wrinkles and bubbles. I don't use the laminator, so I use a roller where possible to smooth out the plastic. But the bond is still rock solid...theres no way you are getting the sheets apart. I experimented with laminating model sheets for a glossy effect. Just using the laminating plastic on the printed side of sheets (an outside layer). so I spent a lot of time peeling off sections of lamination to expose gluing areas and tabs. and then carefully cut out the parts as normal. The gloss is less...more of a satin gloss...which I like. Only issue is, for this canopy I used the thicker sheet material. And the inner and outer layers won't curve to the same degree, so the inside layer is buckling. The thinner roll stuff probably would have worked a bit better. The really tight radius of the canopy shape didn't help either. The biggest problem with tape or laminating plastic is both the windows and the framework get glossed. And this stands out against the non glossy fuselage. I have been using clear Nail Polish to add gloss to printed windows. and you can build up the level of gloss as you like. I used it to gloss up the rear printed part of the canopy (which I left opaque). Last edited by airdave; 10-18-2018 at 07:13 AM. 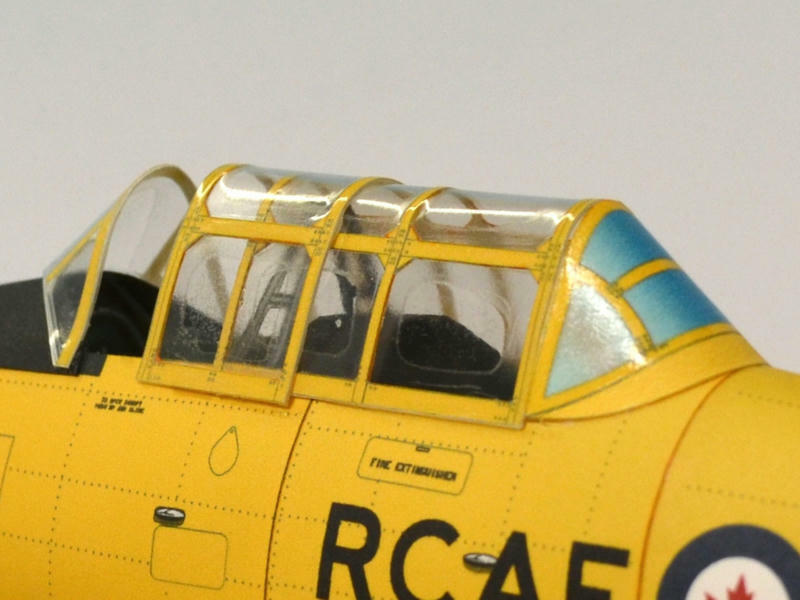 what about painting over the frame with a clear flat model paint?